Expect to be impressed when you meet a Marine, but when that Marine is a 95-year-old Pearl Harbor survivor who challenges you to a pull-up contest, prepare to be blown away. This is one of many things Will Hines of Spartanburg has learned in conducting the Veterans Project, an ongoing undergraduate research project to collect and preserve the personal accounts of American war veterans so that future generations can hear those stories directly from the men and women who lived them. Former Marine Staff Sgt. Robert A. Henderson’s story begins in Hawaii on the morning of Dec. 7, 1941, as a plane with a perplexing paint job thunders overhead “close enough that I could have thrown a rock and hit it” toward a row of U.S. Navy ships docked in the harbor, he said. He thought it was part of a drill until the plane dipped and released a torpedo. The violent chaos in the two hours that followed would define much of the 20th century. Henderson described in gripping detail the many months of combat he experienced, culminating in the Battle of Okinawa. 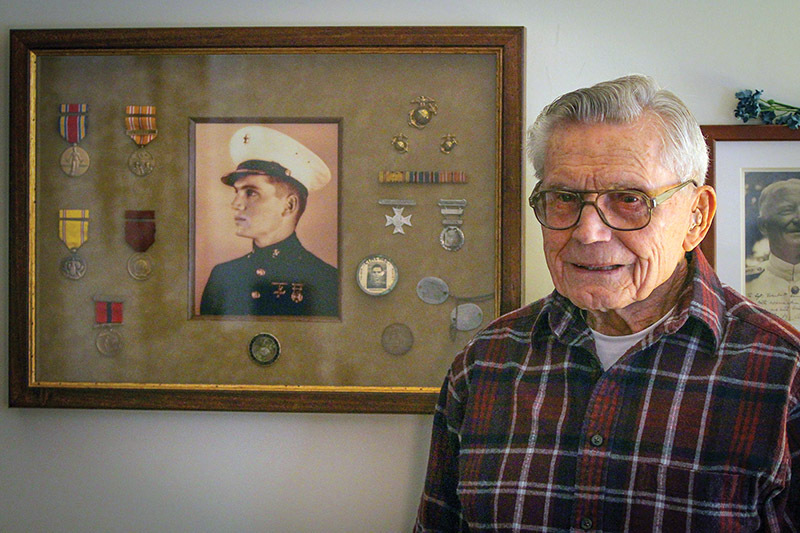 “I was in the first and last battles of the war,” he said. Hines videotapes every word. One copy will go to Henderson and his family, and one copy will go to the Library of Congress to be preserved forever. When asked how he stays so healthy at 95, Henderson takes Hines out to his garage to show off his home gym where he exercises three times a week. He demonstrates by doing 12 pull-ups without breaking a sweat and dares Hines to match him. Hines, a business management major from Spartanburg, became involved in the project because of his lifelong fascination with history. His interest in veterans stemmed from his relationship with a great uncle who served in the Pacific during WWII. After Henderson’s interview, Hines is slated to interview a Vietnam veteran and a Battle of the Bulge veteran. It’s quite a day for a history buff. To date, Clemson students have preserved the stories of 87 veterans from all branches of service with hopes that the project will continue as new students cycle in. After interviewing Marine Staff Sgt. 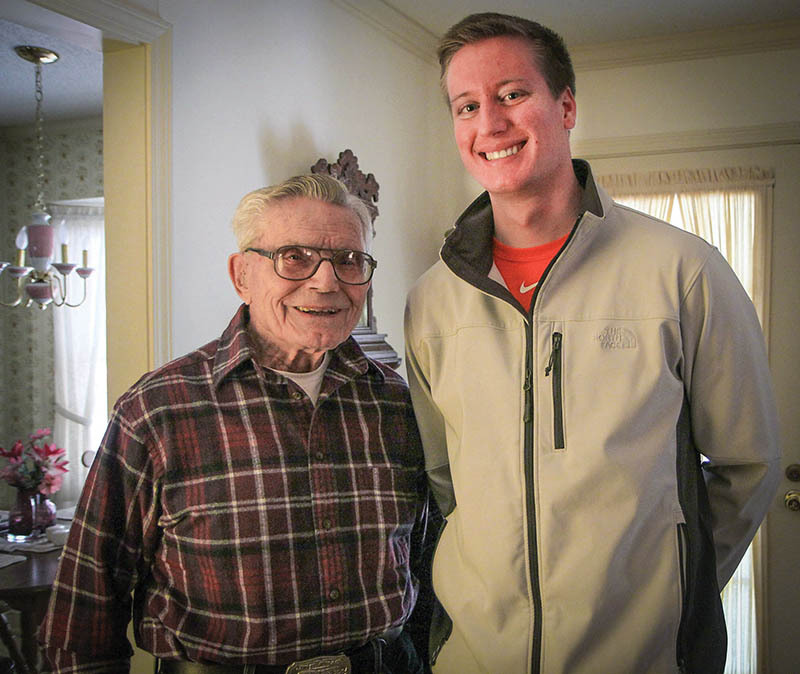 Robert A. Henderson, Clemson student Will Hines of Spartanburg makes the seven-minute drive to another veteran’s home. 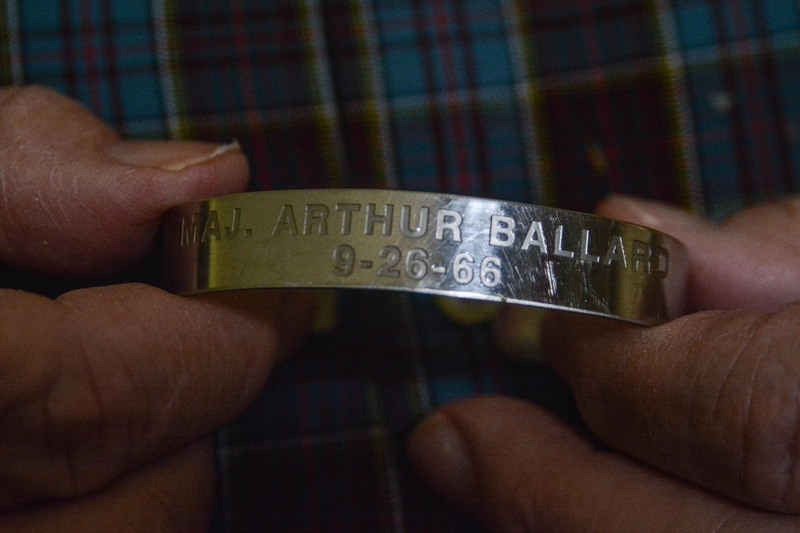 Retired U.S. Air Force Col. Arthur T. Ballard was an F-105 fighter pilot during the Vietnam conflict with 68 combat missions under his belt when he was shot down and captured Sept. 26, 1966.